Patrice Motsepe a lawyer, Entrepreneur and Philanthropist is the richest black man in South Africa. As a young man he ventured into the gold market, despite the market been at itself lowest ebb at the time. He embarked on a courageous buyout of goldmines and later founded the first South African black-owned mining company, African Rainbow Minerals. When South Africa embarked on the policy of Black Economic Empowerment (BEE) at the advent of Democracy, Patrice was a major beneficiary as the BEE laws required businesses to have a minimum 26% black ownership before a mining license would be granted. Motsepe a mining magnate with a net worth of $2.2 billion, with investments and managerial positions that stretch across several companies set up the Motsepe Foundation. Through the foundation he uses his enormous fortune to educate, support and help people in need, with the ultimate goal of rendering them self-sustaining and independent. He was named after Patrice Lumumba the first elected Prime Minister of Democratic Republic of Congo. He is the owner of Mamelodi Sundowns, a popular South African football club based in Pretoria. 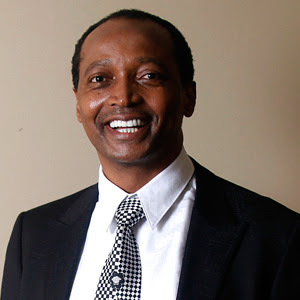 Inspired by Warren Buffet and Bill Gates, Motsepe in 2013 Patrice Motsepe donated have of his wealth to charity. The donated funds are managed by Motsepe Foundation and used to improve the lifestyles and living conditions of the poor, the disabled, unemployed, women, youth, workers and marginalized South Africans. Currently ranked by Forbes as the 847th richest person, Patrice Motsepe is one of the Seven South Africans who made the ranking. He is also the only Black South African amongst the seven. At an early age, the young Patrice started working in his father's Spaza shop, a convenience store located in Hammanskraal, a small town north of Pretoria. A Lawyer and Prince of a clan in the Tswana tribe of South Africa, Patrice was named South Africa Best Entrepreneur in 2002.